Unless he is replaced with another Rookie Digimon, he cannot be sent to the Dark Area. A new fighter! Great hand-to-hand fighting power is hidden in his small body! 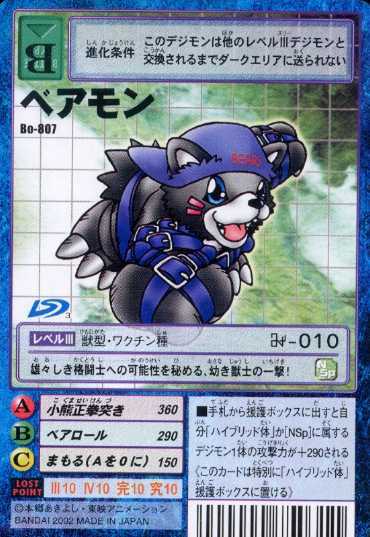 If you have 60 points or less you can take this card from your hand and place it in the Support Box of any Hybrid Digimon. Doing so will increase the Hybrid's attack by 270.